Find new patients with Altair’s acquisition strategies based on experience, knowledge and predictive modeling. Altair uses the power of multi-sourced data, together with our predictive modeling, to target your best prospects. We can work with your database and enhance it with our demographic, lifestyle and geographic data to profile and segment your potential patients. We’ll develop predictive models to give us a comprehensive understanding of your customer base, and recommend a powerful strategy to achieve your goals. Catch them on the move: New homeowners and movers are valuable prospects. Sixteen percent of patients move every year. That represents a potential loss for health care providers – but it’s also a huge opportunity, since those moving into your center’s service area probably have not established relationships with local providers. 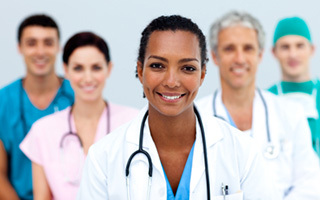 Altair can help your facility keep track of those who move and connect with new patients before your competition does. Altair’s New Mover and New Homeowner databases are the best in the business. We help you reach them first, because we collect records from more than 3,100 counties and courthouses each week. And our proprietary logic and standardization process eliminates any false moves or poor addresses to give you better control over your marketing costs. This entry was posted in Healthcare Marketing Blogs, Hospital Blogs, Uncategorized. Bookmark the permalink.